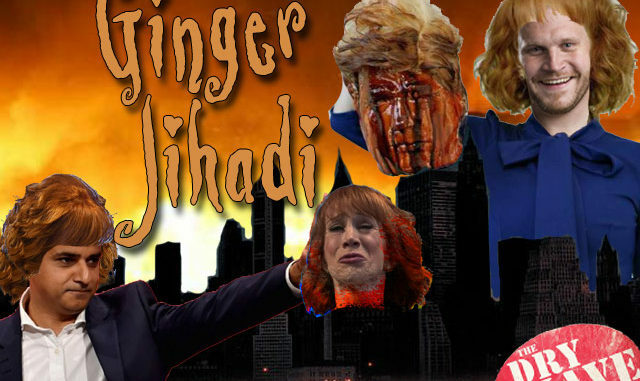 Byron and Ivan riff on Kathy Griffin blaming Donald Trump for her errors in judgement, Bill Maher dropping the N-bomb, Reza Azlan attacking people on Twitter, comparing the UK response to the IRA vs ISIS, and the horrible hate-skid marks of Saskatoon. Plus: England is like the Sigfried & Roy, playing with Islamic tigers from Angela Merkel’s pet shop as jihadis murder infidels in attacks on Manchester and London, Stoner Hitler and Stoner Stalin, Jeremy Corbyn objects to shooting terrorists and Fashwave is making synth music listenable again while Pyra rants about the early iconoclastic history of industrial music before the proto-SJW ‘tards (*cough*Skinny Puppy*cough) ruined it. Also, we’re moving to YouTube… eventually. The Dry Shave Show #54: 420: High Hitler!